When you pit the Toyota Corolla and the Ford Focus against one another, putting them on opposite sides of the ring as it were, we’re talking about a fight for global dominance. These two models are among the most reliable, best-selling sedans in the world and have been for quite some time. And to detract points from either of these vehicles for being consistent, as if they are boring, is like begrudging the Rolling Stones or Coke for churning out hit after hit. When choosing among the 2016 Toyota Corolla and the 2015 Ford Focus, it might feel like you’re picking between the Beatles and the Stones…so how can you tell which one is superior? Both of them are affordable, fuel-efficient sedans with standard features like a backup camera and options like smart access with push-button start and SiriusXM radio. 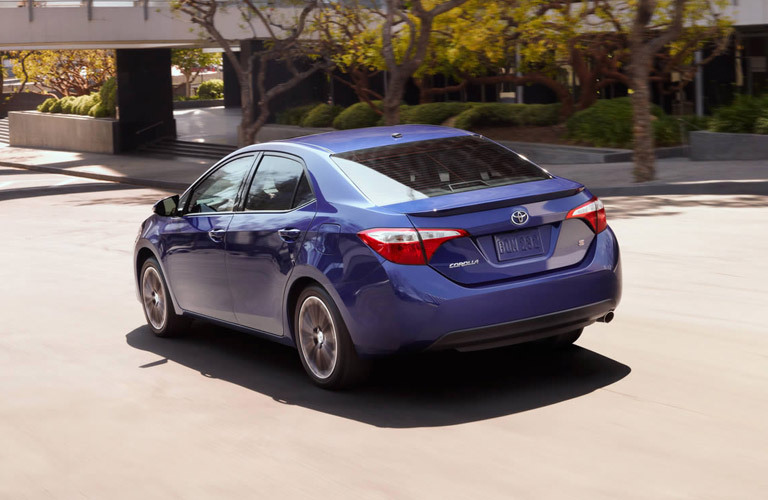 At first blush you’ll spot differences between the 2016 Toyota Corolla and the 2015 Ford Focus. The Corolla is sleeker in its design, with smoother, curvier lines – it looks like a luxury vehicle with just the right amount of mischievous sporty touches while the Ford Focus looks boxier and chunkier in appearance. Head inside the cars and you’ll find the 2016 Corolla provides a more comfortable ride for passengers: While both cars have very similar headroom and front-passenger legroom, passengers in the Corolla get a huge “leg up” – with1,051.2 mm (41.4 inches) of legroom in the back as opposed to the Focus’ puny 843 mm (33.2 inches). 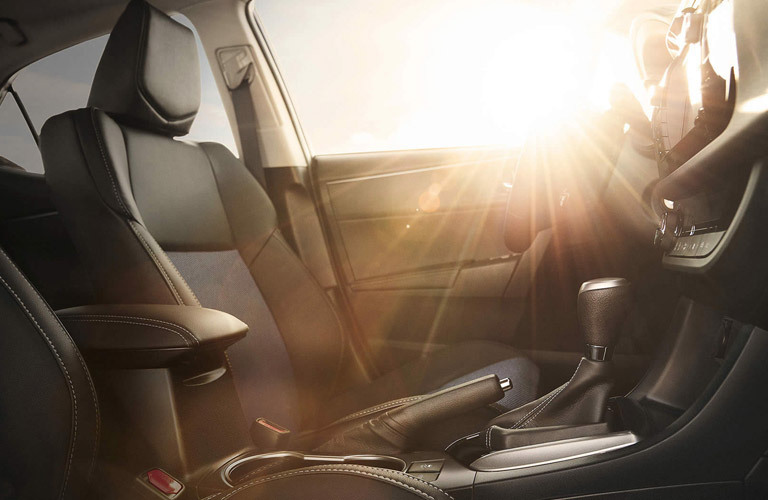 Imagine how much nicer of a drive road trips with the 2016 Toyota Corolla will be, with your friends in the back not complaining about their knees being jammed against your seat. While both cars are affordable, the 2016 Toyota Corolla edges out the 2015 Ford Focus with a suggested retail price of about $100 less. This isn’t taking into account that prices rise a bit each year so the 2016 Ford Focus (once it is released) will likely be a little pricier than what is currently on dealership lots. What really gives the 2016 Corolla a major edge is its fuel efficiency, as it consumes only 8.4 litres of fuel per 100 km in the city, and 6.4 litres per 100 km on the highway. That’s 11 percent better than the 2015 Ford Focus’ city miles per gallon (9.3 litres / 100 km), and a clear advantage over the Focus’ 6.7 litres consumed per 100 km on the highway. When you also consider the 2016 Toyota Corolla has a moonroof available for LE and S trims or the rear seat centre armrest that is available in most trim options, you see how it’s built for fun while remaining a rock-solid vehicle. All that and more underscores why the Toyota Corolla was the car J.D. Power named the Most Dependable Compact Car for 2015 while the 2015 Corolla also garnered the NHTSA 5-Star Overall Safety Rating. Consistent excellence is the hallmark of the Toyota Corolla model, and the 2016 model year is no different.90 percent of all Corollas sold in the past 10 years are still on the road, which means you’re going to spend less time with your car in the shop and save money in the process. So come to Attrell Toyota and test drive a 2016 Toyota Corolla today. Attrell Toyota is located at 110 Canam Crescent, Brampton, Ontario, L7A 1A9, and we have plenty of Toyota Corollas as well as other sedans like the Toyota Camry, or SUVs like the Toyota Rav4 in stock. We serve the greater Mississauga and Toronto area as well. Please contact us at 905-451-7235 or come visit us today to see our cars or to take one for a test drive.